The fourth-generation Corvette, dubbed the C4, was styled as a car for the rebels and the “cool” people who lived on the edge and didn’t take “no” for an answer. Despite this push by Corvette to make the car as cool as possible with sawblade wheels and a big V8 under the hood, mostly dads and retirees bought C4 Corvettes when they were new throughout the ’80s and early ’90s. Now C4 Corvettes are becoming almost disturbingly cheap on the used market. They’re a “wise” “investment” (winking aggressively) for anyone trying to make their way into the Corvette ecosystem. Corvettes are often seen as the quintessential American sports car. They were depicted as fast, agile, stylish, and mean. This specific Corvette has some adjectives too. 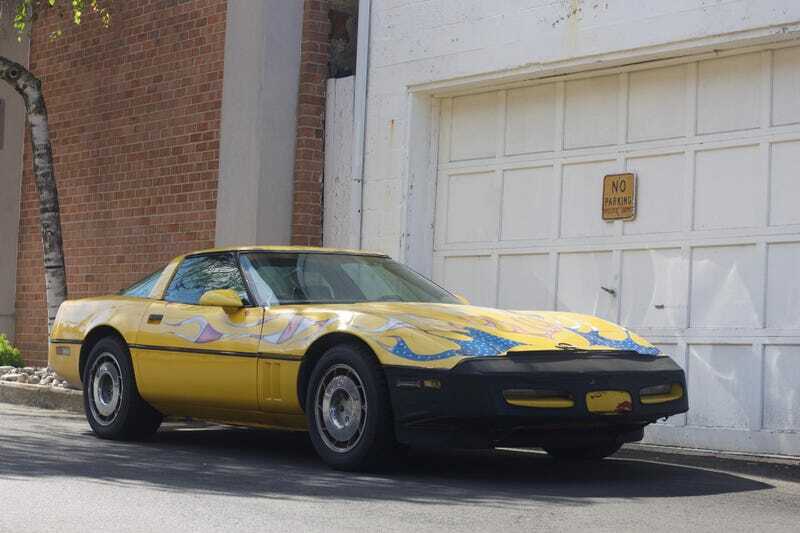 I saw this patriotic faded yellow Corvette parked under a “NO PARKING: POLICE DEPT” sign in Bel Air, Maryland. After all, this is America and any self-respecting Corvette driver should be able to park wherever they want. Front license plates are a requirement in Maryland and I noticed that this rolling salute to the flag did not have one. That’s actually a smart move by the owner as the front license plate would detract from the Ol’ Glory shaded flames currently adorning the hood. I salute you, nameless Corvette man. You’re a real patriot.